American Football International has obtained a copy of a partial decision by the Court of Arbitration for Sport (CAS) and its ruling contradicts the main assertion of IFAF Paris that their elected president, Tommy Wiking never resigned in 2015. 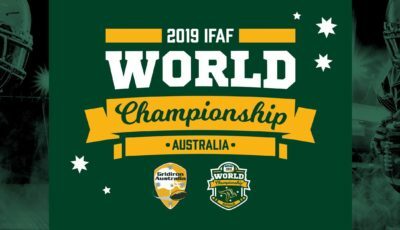 IFAF Paris is one of two factions claiming to be the governing body for international American football, the International Federation of American Football (IFAF). The other is IFAF New York headed by Richard MacLean. The Court of Arbitration for Sport (CAS), or Tribunal arbitral du sport (TAS), is an international quasi-judicial body established to settle disputes related to sport through arbitration. Generally speaking, CAS is most known for arbitrating disputes in sport with connections to Olympic Games and anti-doping. It is important to note that CAS was originally formed by theInternational Olympic Committee. Wiking has been acting as President of a group of nations known as IFAF Paris, a faction who’ve assumed control of much of the infrastructure of American football’s international governing body. 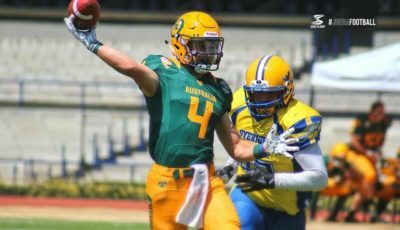 This faction has kicked out members like USA Football, held its own IFAF Congresses‘, established a new IFAF Europe ‘Continental Association’, and passed significant statutes changes. It would seem that a great many of the decisions made by IFAF Paris, which were signed off by Mr. Wiking, are now invalid. However, this CAS ruling does not decide on who is the true IFAF President. It is unclear how effects of this CAS ruling will play out across the world of American football. Will nations and their leaders fall in line with the CAS decision or will they ignore it and act on their own accord? The implications of this ruling are still unknown other than Wiking will not be permitted to participate in IFAF. A complete ruling as to which faction is the official IFAF will be handed down later this year. Apparently, decisions made by CAS take up to two to three months. In short, here is how this all got started. All of this controversy was set in motion shortly after the cancellation of the IFAF premier tournament the IFAF World Championships in Sweden, and a subsequent leave of absence by Wiking. An IFAF meeting was held during the International Bowl Week that took place in Arlington, Texas between January 29th – February 7th 2015 where decisions were made that set international American football on this course. According to correspondence that has come to the attention of AFI, in early February Wiking was asked by the IFAF Executive Board to extend his leave of absence and confirm his intention to resign the Presidency. Note: The IFAF Executive Board at this this time consisted of President Tommy Wiking (Sweden), Senior Vice President Makato Kaneuji (Japan), Vice President Roope Noronen (Finland), Treasurer Scott Hallenbeck (USA), and Secretary Elesa Zehndorfer (Great Britain) (who resigned her post in February 2015) plus representatives from every continent as well as athlete representatives. Three days later Wiking replied to the Executive Board, agreeing to their request and confirming his leave of absence extension until April 30th and his ‘intention to resign’ on that date. Effective dates were set for Wiking’s resignation as of April 30th. Wiking’s leave of absence is confirmed extended through April 30th. It was also confirmed that Wiking would not act for or on behalf of IFAF while on leave of absence, but he would attend the SportAccord Convention with two IFAF representatives, Noronen and Hallenbeck. It was agreed by all that these details would not be published or shared. The ‘details regarding the transition’ are undefined and to be determined. Wiking’s claim was that his early removal from office will mortally endanger the work IFAF has done towards international Olympic recognition. He says that a decade’s worth of work progress will be lost, and set the global American football community back, as a whole. His resignation withdrawal was rejected by the Executive Board, and the split was made official when Wiking was refused the President’s chair at the IFAF Congress in July 2015 during IFAF World Championships held in Canton, Ohio, and walked out and held his own meeting in the hotel lobby. Hence the birth of IFAF New York and IFAF Paris, the two rival factions of IFAF. For a detailed account of the circumstances see this article from 2015.